Playtex Products of Shelton, Conn., is recalling about 5.5 million children’s Playtex plates and bowls sold in the U.S. and Canada. The clear plastic layer over the graphics can peel or bubble from the surface of the plates and bowls, posing a choking hazard to young children. The company has received 372 reports of the clear plastic layer over the graphics bubbling or peeling. Aditionally, there are 11 reports of pieces of the detached clear plastic found in children’s mouths, including four reports of choking on a piece of the clear plastic layer. 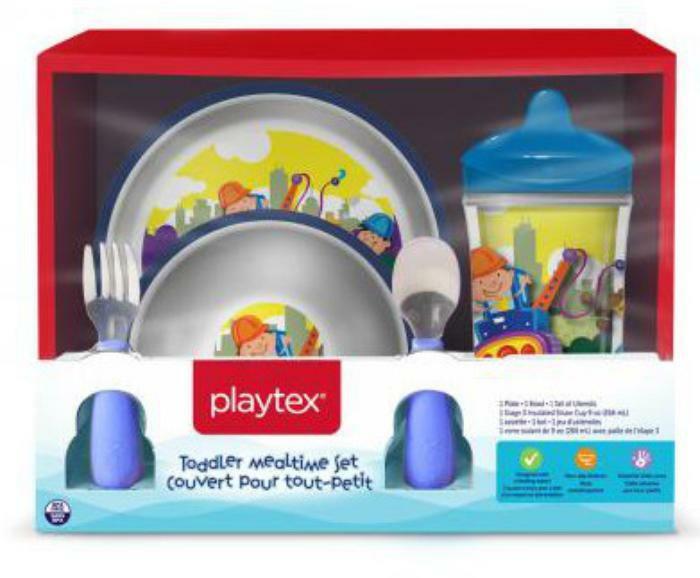 This recall involves Playtex plates and bowls for children. The plates have various printed designs including cars, construction scenes, giraffes, princesses, superheroes and more. The white polypropylene plates and bowls also have a colored rim on top and a non-slip bottom. Playtex is written on the bottom of the plates and bowls. The plates and bowls were sold separately and together as sets. A Mealtime set is comprised of a plate, a bowl, two utensils and a cup. The plates and bowls, manufactured in China, were sold at Babies“R”Us, Target, Walmart, and other stores nationwide and online at Amazon.com from October 2009, through August 2017, for about $2.50 for a single plate or bowl and $15 for a Mealtime set. Consumers should immediately stop using the recalled plates and bowls and take them away from young children. Consumers should contact Playtex for a full refund. Consumers may contact Playtex toll-free at 888-220-2075 from 8 a.m. to 6 p.m. (ET) Monday through Friday or online at www.playtexproducts.com and click on “Recall” for more information.